There was a very good article featuring Chris Difford in The Independent on June 11th. He talks about his life in Squeeze, and explains the title of the first release from his new album. This is the third in his trilogy of autobiographical albums, and opens with the typically frank “1975”, referring to that heady year after Squeeze was born. If you haven’t joined Chris’ Saturday Morning Music Club yet, check out David’s post about 1975. It contains a clever video of the new song which includes all the lyrics, and there are lots of comments on the music club from people who have joined. Chris also mentions that he and Glenn still intend to try writing together again soon! One Response to "Chris in The Independent"
Why Squeeze are cool for cats all over again. Chris Difford created a canon of clever, catchy pop hits with Glenn Tilbrook. He tells Elisa Bray why the duo have buried their differences to write, record, and tour again. It’s a significant year for Chris Difford. Later this year he rejoins his former band Squeeze for a major tour (they reunited for a handful of shows in 2007), and will rejoin co-founder Glenn Tilbrook to start writing their first album since they split in 1999, while he is currently releasing his fourth solo album. Not only is it a time when his musical past and present merge; it’s also his 18th year sober. “Eighteen is a big number at the moment in my life for some reason”, Difford reflects, over mint tea, at the plush private members’ club in London where we meet. “It’s really important for me to focus in on what happened in those years. It’s kind of like going back to the garden and turning over the soil, seeing what’s there and turning out the weeds, and I’m really excited about that. I’m lucky to be where I am and very grateful”, he says. It echoes a sentiment expressed on his new album, Cashmere if You Can: “I’m still living my improbable dream”. The half-laugh that follows hints at the fact that none of this was without some sacrifice along the way. This, Difford explains, is the third in his trilogy of autobiographical albums, and opens with the typically frank “1975”, referring to that heady year after Squeeze was born. Difford explains: “The 1975 period of my life was probably the most exciting year of youth because you don’t know what’s coming, how long life’s going to be, and I jumped in with both feet. I started smoking dope, dropped out, listened to Pink Floyd and just really enjoyed myself, and I’m really glad that I did because of the direction I’ve taken.” That direction saw him create 13 albums with Squeeze and pen the lyrics to the band’s hit singles such as “Up the Junction” and “Cool For Cats”. He achieved the life of a rock star, married by the age of 24, had children – and succumbed to alcoholism. Much was washed away through his drinking and frivolous spending. 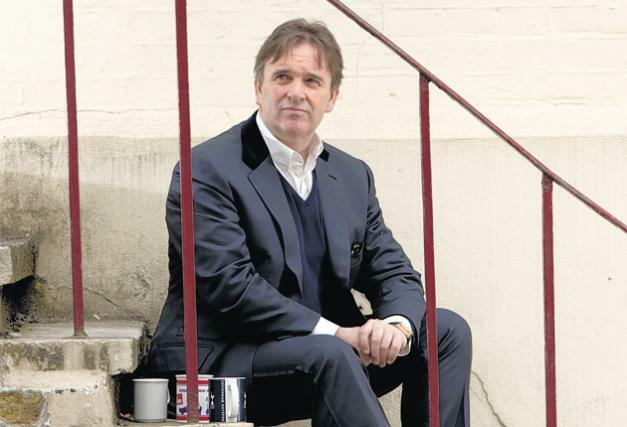 Today, at 54, Difford rents his home in Brighton and his car. He lists his luxuries that remain, including his club membership, with the air of genuine contentment. “I have a beautiful house I rent in Brighton, some nice watches, too many shoes, I lease an Audi…” Still, it’s hard to fully buy into his attitude towards his past. Does he have regrets? That Difford is enthusiastic about modern technology and gadgets is reflected in the digital format of his album release. Along with his manager, he has created the Saturday Morning Music Club. Fans are able to subscribe to the club and download his album track-by-track on a Saturday. After that time, they will receive a physical CD version. As for reuniting with Squeeze, he is most concerned about their American tour, because he will have to overcome his greatest phobia, flying. “It was horrendous”, he says. “I couldn’t go on tour. When I was seven or eight years old I wanted to be a fighter pilot and then the first time I got into a plane my mum cried her eyes out so, although I didn’t know at the time, she was sending me messages like ‘this isn’t a nice place to be’ and I think it began there. I’m still trying to work it out.” To help overcome the fear, he wrote the song “One Day” about it. Difford is referring to his recent break up with his partner, for whom he moved to Brighton a few years ago. “It’s one of the hardest things in life to get over – relationships. [Drugs and alcohol are] a walk in the park compared to relationships,” he says. His way of coping is much the same as when overcoming alcoholism. “Abstinence. That’s the only way. If you’re obsessing about something or you want to be with somebody you have to learn abstinence, and that’s a very difficult manoeuvre to make, so songwriting is a fantastic forum for expressing how you feel. So recently I’ve been writing a lot about that.” Tellingly, his next album will be called The Loneliest Boy. Though he has the ability to write freely wherever he may be, it is his self-designed desk, made from English oak by a carpenter in an old shed in Kent, that is his most inspiring spot. As well as his own solo music, and a musical in progress, Difford keeps himself busy with an array of musical jobs: teaching songwriting to 18- to 24-year-olds at a music school in Brighton, writing with X Factor contestant Olly, and has written recently with Elton John, Bryan Ferry, and Jools Holland. Soon he will add Squeeze to his many jobs, when he starts the new album with Tilbrook. It will be a testing time; the pair had a fractious relationship before the 1999 split, and had long been out of contact, let alone considering writing songs in the same room.